Whether you require service on your existing tires or want to buy some new ones, Huntington Beach Chrysler Dodge Jeep RAM is here to meet all your needs even on Sunday, as we are open from 8:00 AM to 3:00 PM. We understand how freeway driving and proximity to the sea air affects your tires. Our dealership offers competitive prices on the stock that is matched exactly to your vehicle and driving style. If you can wait, our factory-trained technicians can install your purchase quickly and professionally. We also give you 24-month Road Hazard protection so you can drive away confidently. We know you'd rather spend your valuable time heading off to work, dropping off the kids at school, or running household errands. So we always make maintaining, servicing, and replacing your tires a top priority. Why make an inconvenient trip to a separate tire store when you can get it all done at our tire shop near you seven days a week. You can even save additional time when you bring your car, truck, or SUV in for service or maintenance. 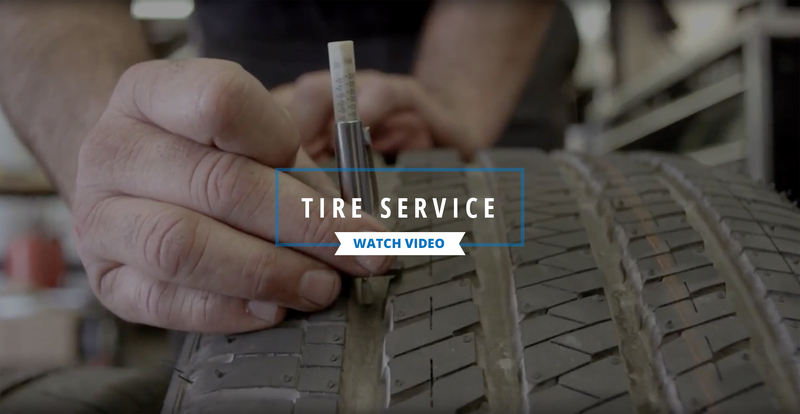 During that time, ask your service advisors to check your tires for any problems, such as premature wear. They'll do the task while your car is in the shop so you don't have to schedule a separate appointment. They can advise you on what options are open to resolve the problem. Upon selecting from the choices, the technicians can then complete your tire request at the same time that they service the rest of the vehicle. When you leave our dealership, you will leave with confidence.